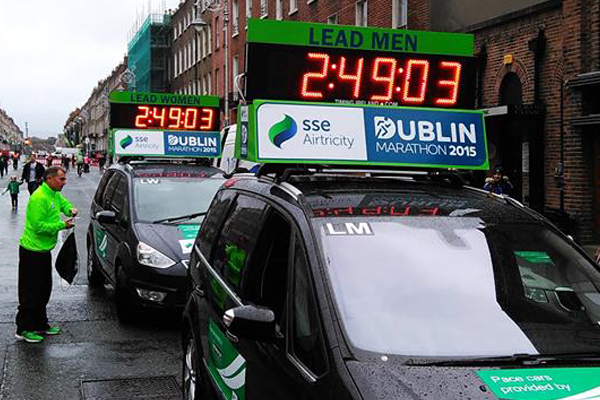 Timing Ireland - Lead Car Clock Hire for Marathons, Triathlons & more. LED Lead Car Clock for hire. 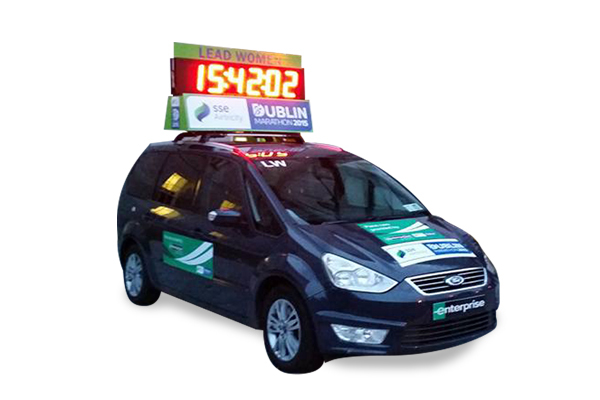 LED Race Clock with accessories to attach to Lead Car for road races, marathons, etc. The lead car clock displays hours, minutes & seconds in a HH:MM:SS format. 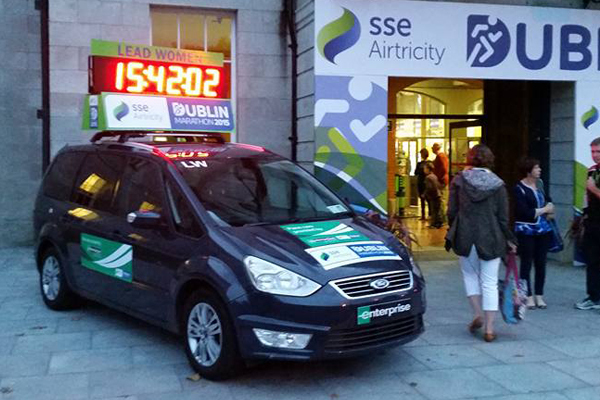 The display is controlled with a simple handheld controller which is started & stored inside the vehicle. 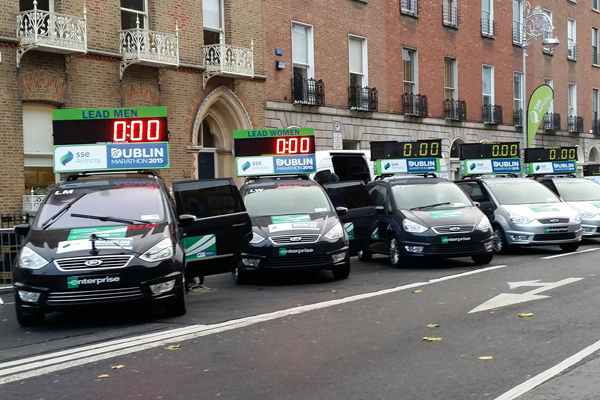 A simple ‘start’ begins the count and can be synchronised for multiple lead cars. 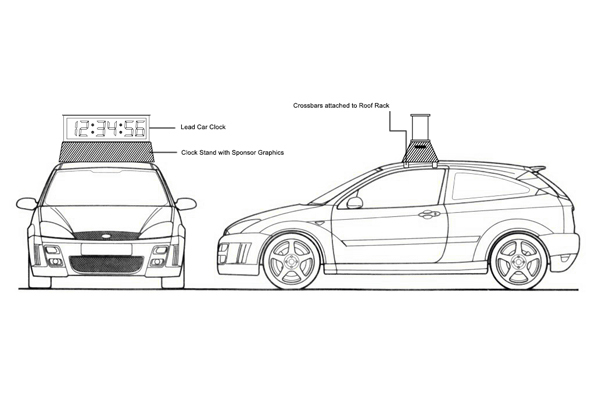 The clock is supplied with all the accessories needed to attach the clock to the car, as well as external batteries for power.